James was born and raised in Revere, MA. He attended UMass Dartmouth where he received his BS in Marketing in 2006. He earned his MS in Biomedical Science from Tufts University School of Medicine, and later graduated as a member of Tufts University School of Dental Medicine class of 2017. James lives in Peabody, MA and enjoys spending his free time with his wife and two daughters, as well as taking the occasional snowboarding trip or golf outing. 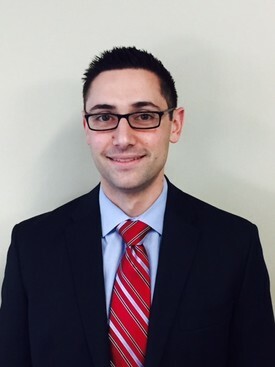 He is currently working as a Dentist at Northern Star Dental Group and is training as an Endodontic Resident at Tufts University School of Dental Medicine.